Warriors and passionate supporters of Wounded Warrior Project (WWP) will be honored at the Courage Awards & Benefit Dinner in New York City on May 31. This annual gala recognizes the service and dedication of those who make WWP’s mission possible and inspire others to support our nation’s wounded warriors. 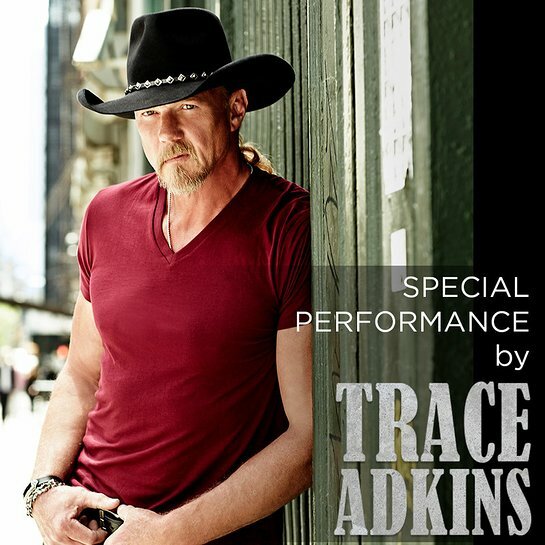 Country music artist Trace Adkins will put on a special performance for attendees of this year’s Courage Awards & Benefit Dinner, and Brian Kilmeade of Fox & Friends will once again host the gala. Thomas Gibson, Anson Mount, Melissa Joan Hart, Dolph Ziggler, Luke Pell, and Justin Melnick are also attending to show their support for the warriors, families, and caregivers WWP serves. To watch live interviews with this year’s award recipients and guests during a special opening segment, tune in at 6 pm ET to WWP’s Facebook page. Through support garnered from ticket sales, donations, and a special online auction featuring unique experiences and items for sale, the Courage Awards & Benefit Dinner empowers warriors served through WWP’s free programs and services. Find out more info here. Since 2003, WWP has tirelessly advocated for our nation’s finest, improving the lives of over half a million warriors and families. To learn more about how WWP is changing lives, click here.